In the past, playing video games on the go meant whipping out either a Game Boy, Nintendo DS, or PSP. While these devices were great in their own right, none of them were ever able to fully replicate their home console counterparts. These days are behind us, however, as powerful handsets like the iPhone XS Max and OnePlus 6T now let us enjoy console-quality games anywhere. But as great as these devices are, mobile gamers are still fairly constrained by screen size, battery, and ergonomics. Because of this, many will often turn to external accessories to maximize their experience. And if you know of someone who's big into mobile gaming, now is a great time to gift them the right smartphone gaming accessory to ensure his or her passion is enjoyed to the fullest. Phones and related accessories for gaming aficionados can easily drain anyone's bank account, so it's likely that your gift recipient won't already have any of these items unless they've centered their lives around playing video games. As such, we've came up with a list of all the hot accessories that are sure to further glue your gift recipient to his or her device for hours on end. Before we give you the rundown on accessories, we'll first need to cover the most important element in mobile gaming — the device itself. After all, what would be the point of getting the latest and greatest controller or VR goggles if the person you're gifting has an older device that's simply not up to par when it comes to the latest popular games like Fortnite, PUBG, and Animal Crossing? That said, the smartphone is obviously the priciest item on this list, but if it's any comfort, these devices are the best when it comes to gaming. All the phones listed have screen sizes of more than five inches, feature top of the line processors that can handle the most graphics-intensive games, and come with the latest iOS or Android version installed — along with updates — to ensure they stay relevant for years to come. Nothing enhances mobile gameplay better than an external controller, as it frees up your device's screen for an unobstructed view, along with having more intuitive, tactile controls to give you a more immersive experience. This accessory is not only a must-have for gamers, but it's also one of the best gift ideas for a loved one who's into mobile games. Smartphone game controllers come in all shapes and sizes, from small add-ons that add shoulder-button functionality to your device to aid in shooting games like PUBG, to pocket-sized controllers that make great companions to play 8-bit favorites such as Wayward Souls, and full-sized controllers that bring totally immersive console-like controls. With the sheer variety of smartphone game controls available in the market today, you're sure to find the right controller that'll match up to recipient's gaming preferences. We've rounded up some of the best Bluetooth controllers you can purchase brand new below, but if you'd like to browse for cheaper or used controllers, be sure to head over to either Amazon, Best Buy, or Walmart for more options. Headphones are also becoming a must-have accessory for mobile gaming, especially while out and about. Using headsets for gaming has obvious benefits: it enables you to concentrate on a game and hear the action, which is key to staying alive in highly competitive games like Fortnite. Best of all, having a headset enables you to play anywhere, without having to worry about disturbing others. While standard headphones are great overall, Bluetooth headsets are more desirable for gamers, as they free you up from distracting wires that can disrupt your grip. 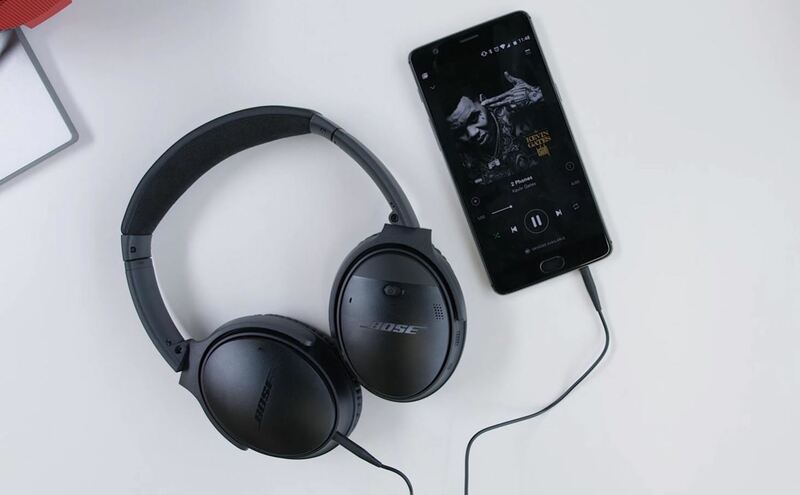 There's no shortage of wireless headphones for to choose from — options below range from small earbuds that can easily be stowed away when not in use to full-sized studio quality headphones that deliver immersive sound. With mobile video games as advanced as they are, it shouldn't come as a surprise just how fast a smartphone's battery will drain regardless of how long a gaming session may be. So if your gift recipient is known to play mobile games for hours on end, we recommend giving him or her an external power bank or battery pack to ensure their device doesn't suddenly turn off while on the verge of winning. Of course, phone cases with built-in batteries are great options as well, though they can interfere with other accessories like clip-on controllers. Besides that, recommending a battery phone case is a little challenging due to the sheer amount of handset models available. As such, your best bet is to do a search on Amazon, Best Buy, Walmart, or another store for one that fits the device your intended recipient has. 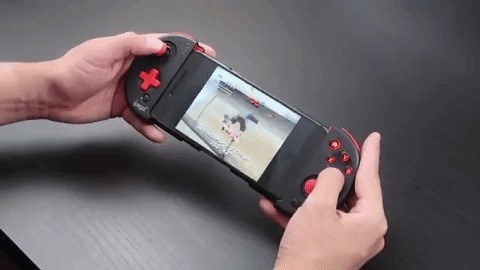 That said, we highly recommend the Anker PowerCore 20100 when it comes to mobile gaming. As the name suggests, the power bank comes with a whopping 20,100 mAh rechargeable battery (about 8 times larger than an iPhone XS battery), along with a pair of USB ports that output 2.4 amps each. This not only gives your recipient the ability to charge up to two devices at once, it also charges at a faster rate compared to most charging adapters that typically max out at 1 amp. 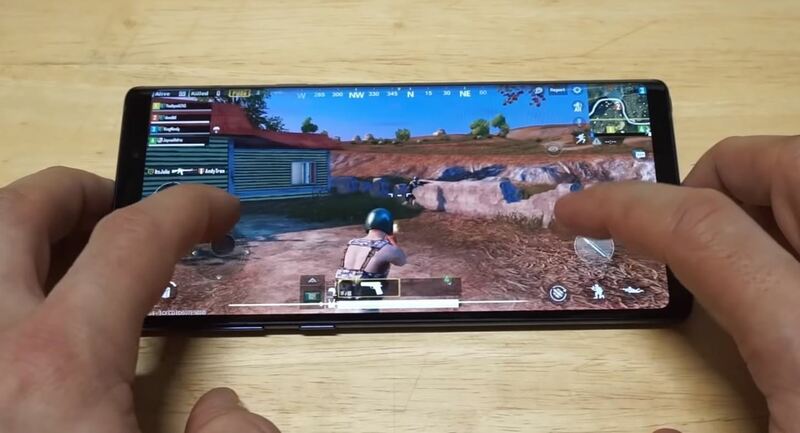 Thanks to huge technological leaps made by both Android and iOS in terms of sheer processing power and graphics, modern mobile game titles such as PUBG and Fortnite feature impressive visuals that rival those offered by traditional consoles like Playstation 4. When at home, connecting a device to the TV or computer monitor can go a long way towards enhancing gameplay. A lot of devices now have the ability to cast or mirror their screen onto a television wirelessly using features like AirPlay, Chromecast, or Smart View, to name a few. Unfortunately, there's always a risk of lag when wirelessly connecting to a separate screen. While a little lag is generally tolerable when watching videos, it's totally detrimental to mobile gameplay, especially when playing online against others. For the best lag-free experience while gaming using your phone, nothing beats an old-fashioned HDMI cable to connect the phone to your TV or computer. So if you know someone who's experienced the frustrating problem of laggy gameplay while on their device, now is the perfect time to present him or her this ingenious, budget-friendly gift to end this problem once and for all. In many ways, gift cards are the ideal gift to give a friend or family member, particularly if you're on a budget, don't really know what mobile game that loved one is into, or a combination of both. With an iTunes or Google Play gift card, however, you unburden yourself from the pressures of finding the perfect gift, and instead leave it to the recipient to buy whatever he or she desires, be it a premium title like XCOM: Enemy Within, or an in-app purchase within a favorite game that he or she has been yearning for but didn't want to spend money on. If you're looking for a unique gift idea for that tech-savvy friend or family member that's also notoriously hard to please, we've highlighted some notable VR headsets, toys, and gadgets that are sure to bring a smile to your intended recipient's face. As far as VR headsets go, Black Rocket's Make Your Own Virtual Reality Game certainly gives you the most value for your money. Made for children of all ages, the headset gives you the ability to design your very own virtual world, in addition to creating objects and characters to interact with, all while learning about about VR design and coding in a fun and entertaining way. The VR headset is compatible with both Android and iOS devices courtesy of an app, and comes standard with a 20-hour course that lets you move at your own pace to learn VR basics anytime and anywhere. In all, this headset will make a perfect gift for a loved one with a penchant for creativity and a passion for learning. Recoil Laser Combat turns any location into an immersive battlefield of up to 16 players to bring intense FPS gaming to real life. The toy, which uses your handset's GPS to track players' locations, has several game modes to choose from, such as free-for all or team death match, and even provides directional audio to hear where the shots are coming from. The Recoil Starter Set has everything you and your gift recipient need to hit the ground running, so to speak, and includes two pistols along with a Wi-Fi hub with a 250-foot radius that also acts as the lobby for friends to coordinate matches. If those weren't enough, you can also buy the Major Striker Edition Starter Set which includes rifles to upgrade your arsenal. 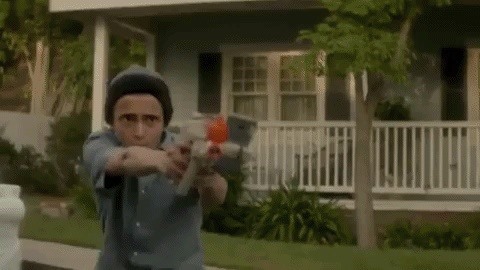 And yes, you can even purchase grenades! Radio controlled cars and other vehicles have dominated the wishlist of many a kid, and these classic toys have evolved with the times, primarily with the addition of smartphone control capabilities, to ensure this trend endures. The advancements hasn't stopped there, as fully immersive radio controlled vehicles have emerged to take the hobby to the next level. Thanks to remote controlled cars like FAO Schwartz's Italia Racer and Air Hogs FPV High Speed Race Car, you can now get behind the wheel and experience miniature racing in an unprecedented first-person view by way of live video recordings that stream to your smartphone in a VR headset. The former, in particular, even has working headlights and taillights for nigh time racing, along with a rechargeable battery. 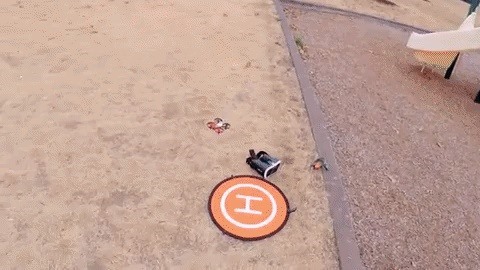 Of course, this fully immersive remote control experience isn't only limited to cars, as there are radio controlled drones like the Air Hogs DR1 Race Drone and Hammacher Schlemmer Full Immersion Drone that give you the same immersive experience, but this time in flight.